One of the most famous spots in Japan: a huge temple complex south of Kyoto with thousands of red Torii gates. Fushimi Inari Taisha is the name of the Shinto temple complex. The shrine sits at the base of a mountain also named Inari, and includes trails up the mountain to many smaller shrines. 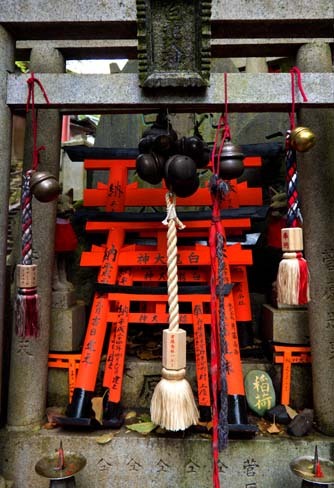 Individuals, groups or companies set up orange gates of all sizes for blessing, purification, good luck, to be in harmony with spirits and gods. 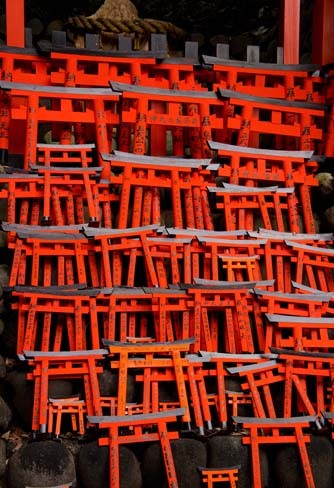 Small Torii Gates at a Shinto shrine. 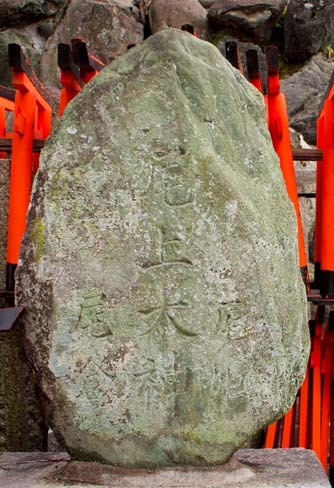 Small Torii gates and natural stone with inscription. 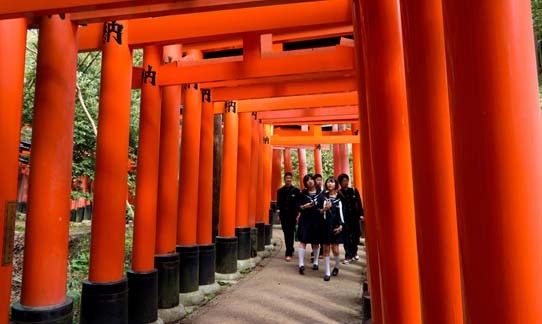 Japanese school kids in uniforms walk through Torii Gates.